Update 03/19/2018: As of today ‘Routines’ have been added to the Google Home app on Android, but so the iOS app has yet to be updated. The feature is under the more settings section and then under the services heading. 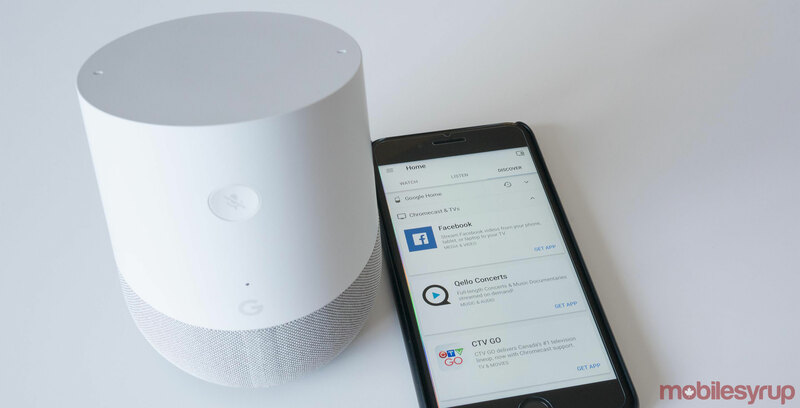 Google has announced that it plans to make Google Home’s ‘Routines’ feature soon available to everyone. The Routines feature is a way to combine several Google Home actions into one single command. This allows for one phrase that controls multiple actions. For example saying “Ok Google, good morning,” will turn on lights, start a coffee maker and begin playing music. The Google Home app will include six customizable phrases by default: ‘good morning,’ ‘bedtime,’ ‘leaving home,’ ‘I’m home,’ ‘commuting to work’ and ‘commuting home.’ In addition to these commands, users can also add their own words or phrases, allowing for the customization of multiple smart home devices. This feature is launching in the United States now and according to a Google Customer Support representative, it’s also set to make its way to Canada soon. When this feature rolls out it will replace the ‘My Day’ section in Google’s Home app, adding additional phrases and controls. For more information about the Routines feature, Google has launched support page focused on setting up Google Home Routines. We’ve reached out to Google Canada for more information regarding the feature making its way to Canada and will update this story when we hear back.